With the help of the wonderful Casey and Alana we had gotten the top 3 curved treads and the 5 straight treads up several weeks ago after a marathon 12 hour day of working on them. 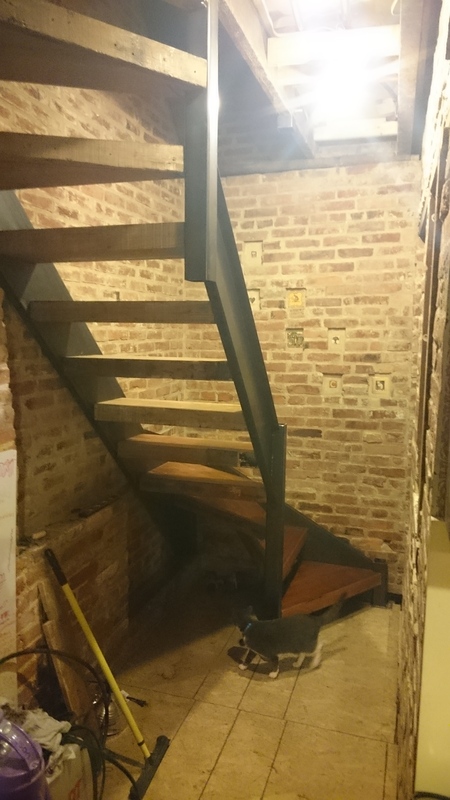 After that we came to a stand still; we were out of joists to make more stairs. Siri and I picked 15 feet of joists from our friend Adam. After a quick planing, I marked them out in pencil in the basement to maximize every inch. My goal was to build them while Siri was away in Seattle for a week. I had a friend Julia come help me cut the boards. Over the next few days I glued, bolted and clamped them together, and then sanded them. I finally got them in about a week after Siri got home. Finally we can go all the way up and down without a ladder / stools. Glamour shots will need to be taken to do these justice. They look so good. 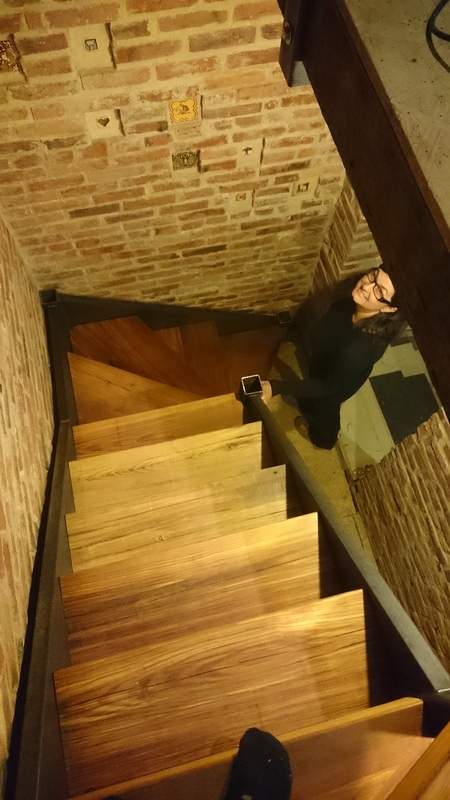 Emi inspects the stairs for code violations.